White Snap Baby Bib — 10" x 13"
About this White Snap Baby Bib 10 x 13:Terry cloth with polyester trim. 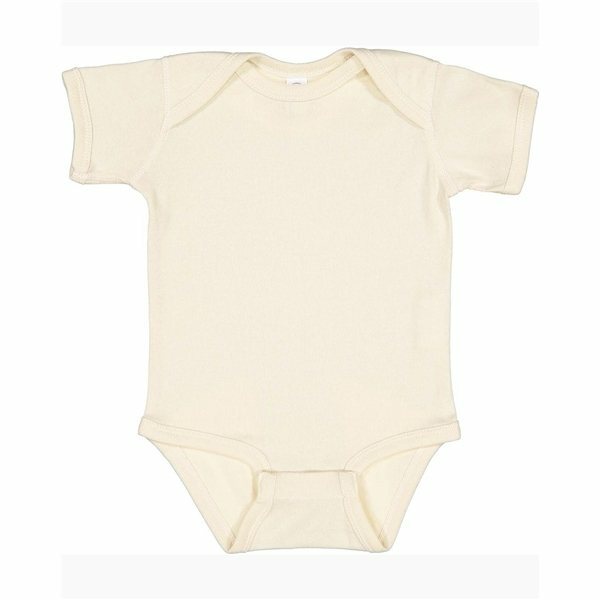 About this Bella + Canvas - Baby Short Sleeve Onesie - 100b:3.9 oz., 100% Airlume combed and ring-spun cotton jersey, 32 singlesHeather Colors: 52% Airlume combed and ring-spun cotton/ 48% polyesterAthletic Heather: 90% Airlume combed and ring-spun cotton/ 10% polyesterSide-seamsEnvelope neckSnap leg closure (specs are with binding)Tear-away labelSpecial Instructions:If ordering less than minimum requirements additional fees will apply. About this Port Authority Ladies Concept Shrug:Top off your look in style with this shrug that's equally flattering paired with a skirt or jeans.4.4-ounce, 62/33/5 poly/rayon/spandex.Button tab on sleeves.Shawl collar.Sloping front hem. Size Chart Please See BelowSpecial Instructions:If ordering less than minimum requirements additional fees will apply. About this Rabbit Skins Fine Jersey Infant Lap Shoulder Creeper:Oh baby, this shirt pairs lap shoulder practicality with let's have fun color.4.5 oz., 100% combed ringspun cotton.White is sewn with 100% cotton thread.Double-needle stitched rib binding on neck, sleeves, leg openings and shoulders.Flatlock seams.EasyTear™ label.Reinforced three-snap closure on binding.Special Instructions:If ordering less than minimum requirements additional fees will apply. About this Port Authority(R) Ladies Plaid Flannel Tunic:Our flannel shirt takes laid-back looks to the next level. Ultra soft and just the right weight, it makes a statement with a classic plaid pattern and casual comfort.4.4-ounce, 60/40 cotton/poly flannelLightly brushed for softnessLonger tunic lengthOpen collarBias-cut back yokeBox back pleatRoll sleeves with button tabsButton-through sleeve placketsAdjustable cuffsRounded hemCARE INSTRUCTIONSMachine wash cold with like colors. Only non-chlorine bleach when needed. Tumble dry low. Warm iron if neededSpecial Instructions:If ordering less than minimum requirements additional fees will apply. About this Rabbit Skins - Infant Baby Layette:Comfy cozy baby wear with fold-over mitten cuffs to keep little hands warm.5.0 oz., 100% combed ringspun cotton,1x1 baby rib.White is sewn with 100% cotton thread, Coverstitched rib-knit binding on neck, shoulders and sleeves.Coverstitched elastic bottom.White polyester coverstitching on all colorsSize Chart Please See BelowSpecial Instructions:If ordering less than minimum requirements additional fees will apply. About this Devon Jones Ladies Perfect Fit(TM) Half - Placket Tunic Top:4 oz./yd² / 135 gsm, 58% cotton, 39% polyester, 3% spandexAlways flattering Perfect Fit™Five-button narrow placket for feminine lookAdjustable cuffsside slitsLonger length for everyday activity and movementSpecial Instructions:If ordering less than minimum requirements additional fees will apply. About this Rabbit Skins Contrast Trim Terry Bib:100% cotton terry.Two reinforced snaps at back of neck.Contrasting binding (except White/White).Special Instructions:If ordering less than minimum requirements additional fees will apply. About this Bella + Canvas Ladies Flowy Blousy V - Neck Dress - 8812:Looking effortless is a cinch in this casual knit dress with an elastic waistband.Scalloped hem.Special Instructions:If ordering less than minimum requirements additional fees will apply. About this LAT Ladies Fine Jersey V - Neck Coverup:Perfect for the beach or knocking around at home in soft, combed ringspun cotton.4.5 oz., 100% combed ringspun cotton, 30 singlesl.White is sewn with 100% cotton thread.Topstitched rib-knit collar.Double-needle hem sleeves and bottom.EasyTear™ label.Special Instructions:If ordering less than minimum requirements additional fees will apply. About this LAT V - Neck Fine Jersey Coverup:4.5 oz, 100% combed ringspun cotton fine jerseytaped neck with EasyTear™ labeldouble-needle hemmed sleeves and bottomWhite is sewn with 100% cotton threadHeather is 93% cotton, 7% polyestertopstitched, ribbed V-neck collarSpecial Instructions:If ordering less than minimum requirements additional fees will apply. About this Bella + Canvas Ladies Flowy Long - Sleeve V - Neck - 8855:3.7 oz., 65% polyester, 35% viscose30 singlesAthletic Heather is 52% polyester, 48% cottonRelaxed, drapey fitSide-seamedTear-away labelSpecial Instructions:If ordering less than minimum requirements additional fees will apply. About this Rabbit Skins Long - Sleeve Cotton Jersey T - Shirt (White):100% cotton jersey.Ribbed crew neck and cuffs.Taped shoulder-to-shoulder.Double-needle hemmed bottom.CPSIA compliant- tracking label in sideseam.White is sewn with 100% cotton thread.Heather is 90% cotton, 10% polyester; Ribbed cuffs.Special Instructions:If ordering less than minimum requirements additional fees will apply. About this BELLA + CANVAS Cotton / Spandex Shortie - 0491:5.9 oz, 95% combed and ringspun cotton, 5% spandex.Satin trim fold over elastic waistband.Low rise.Size Chart Please See BelowSpecial Instructions:If ordering less than minimum requirements additional fees will apply. About this All Sport for Team 365(R) Sports Bra:90% nylon, 10% spandexdry-wickinganti-microbialSpecial Instructions:If ordering less than minimum requirements additional fees will apply. About this BELLA + CANVAS Cotton / Spandex Boyfriend Brief - 0304:5.9 oz, 95% combed and ringspun cotton, 5% spandex.Wide elastic band.Contrast trim.Low rise.Size Chart Please See BelowSpecial Instructions:If ordering less than minimum requirements additional fees will apply. About this BELLA + CANVAS Cotton / Spandex Thong Bikini - 0301:5.9 oz, 95% combed and ringspun cotton, 5% spandex.Double-needle satin trim fold over elastic.Available in color-block options.Low rise.Size Chart Please See BelowSpecial Instructions:If ordering less than minimum requirements additional fees will apply. About this Bella + Canvas - Womens Cotton Spandex Shortie - 0491:5.9 oz., 95/5 airlume combed and ringspun cotton/spandex Satin trim fold over elastic waistbandLow riseTearaway labelSpecial Instructions:If ordering less than minimum requirements additional fees will apply. About this American Apparel - Womens Cotton Spandex Tank Thong Bodysuit:8 oz., 92% Cotton/ 8% SpandexHeather Grey: 83% Cotton/ 9% Polyester/ 8% Spandex.Neon Colors : 46% Cotton/ 46% Polyester/ 8% Spandex1/4" elastic binding applied to neckline and armholesV-neckRacerbackForm-fittingDouble-satin razor labelSpecial Instructions:If ordering less than minimum requirements additional fees will apply. About this Premium Poly Cotton Bibs:Premium Poly Cotton Bibs. About this Bella + Canvas - Baby Short Sleeve Tee - 3001b:4.2 oz., 100% airlume combed and ringspun cotton, 32 singlesSide seamTearaway labelSpecial Instructions:If ordering less than minimum requirements additional fees will apply. About this Bella + Canvas - Infant Baby Rib Short Sleeve Creeper:5.8 oz., 100% airlume combed and ringspun cotton, 32 singlesAthletic Heather is 90/10 airlume combed and ringspun cotton/polyesterThree-eighths inch overlock binding at envelope neck, sleeve hemThree-quarter inch binding trim at leg openings, with three snapsInfant sizes: 3/6, 6/12, 12/18, 18/24 monthsSpecial Instructions:If ordering less than minimum requirements additional fees will apply. About this Bella + Canvas - Womens Lightweight Sweater Dress - 8822:5.3 oz., 65/35 polyester/viscose, 32 singlesSide seams, relaxed fit1x1 ribRaglan sleevesWideneck can be worn off the shoulder1x1 smooth ribbed fabric uniquely engineered with a flat surface ideal for printingTearaway labelSpecial Instructions:If ordering less than minimum requirements additional fees will apply. About this Bella + Canvas - Baby Triblend Short Sleeve Onesie - 134b:50% polyester/ 25% cotton/ 25% rayon jersey, 40 singleSide-seamEnvelope neckSnap leg closureTear-away labelSpecial Instructions:If ordering less than minimum requirements additional fees will apply. About this Bella + Canvas - Triblend Baby Short Sleeve Tee - 3413b:3.8 oz., 50% polyester/ 25% Airlume combed and ring-spun cotton/ and 25% rayon, 40 singleSide-seamsRetail FitUnisex sizingTear-away labelSpecial Instructions:If ordering less than minimum requirements additional fees will apply. About this Next Level - Womens Tri - Blend Racerback Tank Dress - 6734:4.3 oz., 50/25/25 poly/combed ring-spun cotton/rayon32 singleTri-blend jerseySelf-fabric bindingTearaway labelSpecial Instructions:If ordering less than minimum requirements additional fees will apply. Thank you Antonio and Gabriel! Our LAT Ladies’ Fine Jersey V-Neck Coverup is a summer favorite, but this promotional apparel could be ordered all-year round. It’s a woman’s favorite whether it’s for the beach or for bedtime. 4.5 oz., 100% combed ringspun cotton. Available in Black, Heather Gray, Hot Pink, Key Lime, Cobalt. Thank you for your review Gage and Christian. Looking for the right Baby product? Our Baby Bib is our most popular item for babies. Use this popular promotional product at your next event! Baby bibs are used for every meal, imagine the exposure your company will get? Don’t miss out! These 65% cotton, 35% poly-knit bibs have a hook-and-loop closure for safety. 65% cotton and 35% poly knit, with hook-and-loop closure. Perfect for promotions aimed at parents of young children. Don’t let the mess spread, shop our Baby Bib now! We always make sure our products are delivered exactly how the customer wants. Marketers know babies bring in a lot of attention, so if you’re seeking a great product to compliment babies the Rabbit Skins 5 oz Baby Rib Lap Shoulder Creeper is it. 100% combed ringspun cotton 1x1 baby rib. Get this one in white or natural. Order online today! With 50+ promotional apparel for ladies and infants, your company will love our selection of brands we have to offer for your promotional needs! From Bella to Rabbit Skins, we provide a touch of light to our products. With our high-quality style of imprinting, your promotional apparel will be perfect for your net event! Don’t crawl away from our page, search your Ladies & Infants apparel here! Our personalized apparel for infants is designed with comfort and style in mind to keep little brand fans thinking of you every time they put it on. Every infant jersey, baby bib and cute little infant hoodie is specially priced and professionally imprinted to vividly promote your brand. Let’s make marketing make cents! Search our site for a wide selection of promotional apparel for ladies and infants. Check out even more cool apparel for ladies and infants on sale now! Take a sneak peek at our fashionable collection of promotional apparel for women and infants currently available. We’re ready to help expedite your order, so give us a call! Snuggle up to these comfortable promotional gifts! Our selection varies for a maternity tradeshow to a women’s expo. With our fast and easy to use website, you’ll process your order in no time! All our Ladies & Infants products are high-quality in material and imprinting. You won’t want to miss on ordering our selection. Chat with one of our representatives today!